In case you haven’t heard it yet this year’s 32nd Athens Marathon will be hosted at the 9th of November. Apart from the thrill of participating in one of the most difficult Marathon runs in Europe, this year you will have the chance to be a part of a significant turn in the Marathon’s history. From now on the ” Athens Classic Marathon” has changed its name to ”Athens Marathon the Authentic” and with that comes a new logo and a new attempt to underline the historical importance and deliver that message worldwide. If you don’t want to miss out on this event and have a chance to experience the beautiful Greek autumn weather as well, book your stay with us (three nights minimum), and have the forth night free by sending us an email with your reservation! Ever thought of running the real Marathon? The Athens Marathon is one of the most popular and perhaps one of the most difficult marathons in Europe and by far the most popular run in Greece.The countdown has begun & we are giving away free nights’ stay for participants to the 32nd Athens Classic Marathon that will take place in Greece on the 9th of November. 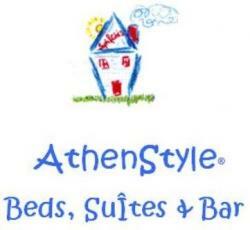 Book a min of 3 nights at AthenStyle (www.AthenStyle.com) and email us your registration to the Marathon: we will give you a free additional night! This year’s marathon aims to establish a new era for the classical institution, by making efforts for world acknowledgment through the evolution and improvement of its visual identity. During a spectacular ceremony at the Benaki Museum and at the presence of the Greek Minister of Tourism, Ms Olga Kefalogianni, the Head of Attica Region, Mr Yiannis Sgouros, representatives of all political parties in Greece, other state and business authorities and running clubs, SEGAS presented the new name of the event «ATHENS MARATHON. THE AUTHENTIC» along with the new logo. Last year the Athens Classic Marathon took place for the 31st time. There were around 31.000 runners from all over the world for 5 and 10 kilometers distance in Athens centre and of course for the classic 30 kilometers distance and around 35.000 viewers waiting to meet the winners. The winner was Yego Hillary Kipkogei from Kenya. He finished the distance in 2 hours 13 minutes and 50 seconds. But he didn’t manage to beat the record of the previous years’ winner Kenyan runner Raymond Kimutai Bett. The 15th of August is one of the biggest religious celebrations in Greece after Easter and Christmas, a national holiday that is observed by the public and private sector. Dekapentavgoustos (15 August), as the day is referred to in Greek, is the day of the Dormition of Virgin Mary. On the Greek Orthodox calendar this date marks the moment when Mary, Christ’s mother, ascended into Heaven. It is considered a day, not of mourning, but a celebration of joy for the union of the mother with her son. Greeks prepare themselves by fasting from 1 to 14 August. The fast is broken on the 15th. It is tradition for Greeks to flock to home villages or islands and attend celebrations that are held at churches throughout the country. The most popular celebration in the country for the commemoration of Mary’s passing takes place on Tinos where the Greek Orthodox Church’s holiest cathedral, the Panaghia Evangelistria, stands. Pilgrims flock by the thousands to this Cycladic island each year to the church that is home to a miraculous icon of Virgin Mary, discovered underground in 1823. Athens becomes a bit deserted in August, especially during the week of the 15th, which is a public holiday period. As agreed by many, it is a great time for residents and visitors to be in the city as it is less crowded, there are no traffic jams in the streets and it is more quiet than usual. This may just be the best time for residents and visitors to go out and really explore Athens center and Attica. All musuems will operate normally, from 8am to 8pm. The Acropolis Museum will be open to the public until 10pm.